Lance N is our Production Manager. He has IICRC certifications in Fire & Smoke, Water Restoration Technician, Carpet & Upholstery, and Commercial Drying. He has completed SERVPRO’s Employee Certification Training Program (ECTP). He is recently LEAD Safety Certified. He enjoys the outdoors and riding his motorcycle. Desiree is our Office Manager, and has been with our company since November 2013. She handles billing, receiving, and job upload verifications for our corporate office and secondary insurance audits. She has completed SERVPRO’s Employee Certification Training Program (ECTP) categories for Crew/Customer Service, Water Restoration, Fire Restoration, and Carpet & Upholstery Restoration; along with QuickBooks Certification, and Xactware ContentTracks. Desiree spends free time with her son, enjoys reading, watching movies, and watching football. Heidi is our Marketing Manager, and started with the company in February 2015. She has IICRC Certification for WRT (Water Restoration Technician) and FSRT (Fire and Smoke Restoration Technician). 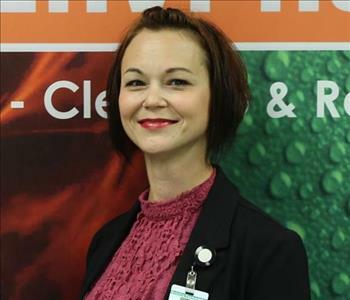 She has also completed SERVPRO’s Employee Certification Training Program (ECTP) categories for Crew/Customer Service, Water Restoration, Fire Restoration, and Carpet & Upholstery Restoration. You can see her out and about in La Crosse, Sparta, Black River Falls, and Galesville. Tonja is one of our Training Coordinator and has been with the company since February 2016. 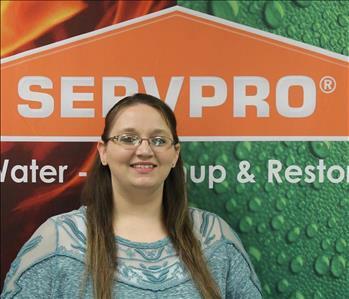 She has completed the SERVPRO Employee Certification Program categories for Crew/Customer Service, Water Restoration, and Fire Restoration. She lives in Sparta with her husband, 2 daughters, 2 dogs, and 3 cats. She also has two sons that live in Colorado. In her free time, she enjoys gardening, crocheting, reading, watching hockey and volleyball. She volunteers to transport rescue dogs in her spare time. Kris is our Production Scheduler and Administrator and has been with SERVPRO since May 2016. Kris has completed training in Xactimate and SERVPRO’s Employee Certification Training Program (ECTP) categories for Crew/Customer Service and Water Restoration. She lives in Sparta with her husband Claus, their four children, and two dogs. In her free time she loves to canoe, travel, hike, read, and spend time with her family and friends. She is a cancer survivor, and an avid wrestling fan; which both of her sons compete in regularly. Mitch is one of our Crew Chiefs, and started with the company in August 2016. 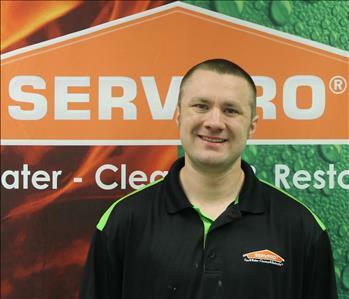 He has completed SERVPRO’s Employee Certification Training Program (ECTP) categories for Crew/Customer Service, Fire Restoration, Water Restoration, and Carpet and Upholstery restoration. He has recently acquired his LEAD Safety Training and IICRC Certifications in Water Restoration and Applied Structural Drying. After work, he likes to relax by listening to music while resting in a hammock or playing Ultimate Frisbee. In his free time, he enjoys hanging out with his friends, reading, or going to raves. Becky is one of our Production Technicians, and started with the company in November 2016. She works in-house mostly, cleaning content that comes in from fires. 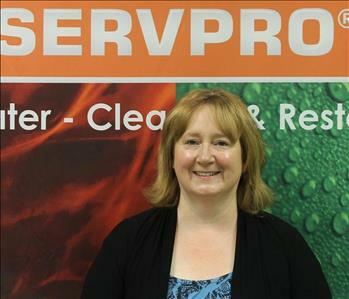 She has completed SERVPRO’s Employee Certification Training Program (ECTP) for Crew/Customer Service. Becky has 4 kids, and enjoys creating crafts and gardening in her free time. Bart is one of our Production Technicians, and started with the company in March of 2017. He has completed SERVPRO’s Employee Certification Training Program (ECTP) for Crew/Customer Service, Fire Restoration, and Water Restoration. 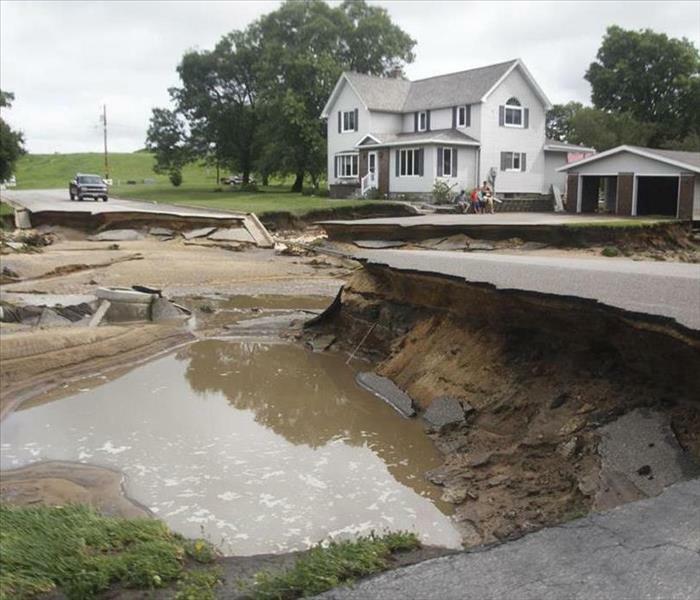 He is recently acquired his LEAD Safety training and IICRC Water Restoration and Applied Structural Drying. Bart enjoys long-distance running, hiking, reading, listening to and playing music on the guitar, and meeting new people. He has traveled internationally and has even eaten raw horse meat in Japan! He has an Australian Shepard named Pip. Brandon is one of our Production Technicians, and started with the company in July of 2017. Brandon has completed SERVPRO’s Employee Certification Training Program (ECTP) for Crew/Customer and Water. In his free time, Brandon enjoys hunting, fishing, and a cold dark beverage. He has been involved in Mixed Martial Arts, and Tae Kwon Do for 4 years & is omnidexterous. Andy is one of our Production Technicians, and started with the company in July of 2017. 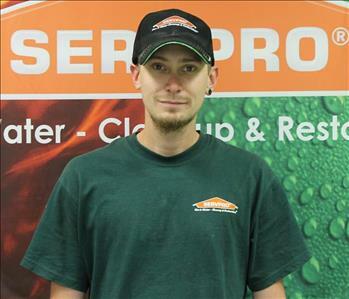 He has completed SERVPRO’s Employee Certification Training Program (ECTP) for Crew/Customer Service and Water. He was recently LEAD Certified. In his free time he likes to spend time with his family and chase storms. Abby is SERVPRO's Administrative Assistant and has been with us since May of 2018. She is originally from Wisconsin Rapids and has been living in Onalaska for four years with her fiancée. She enjoys spending time with her step-daughter, her two dogs, and her cat. If you happen to call the office, you may just get Abby to answer. Michelle is part of our #WeAreLocal GREEN team as a Production Technician. She is relatively new to the area and moved here with her three dogs and two cats. 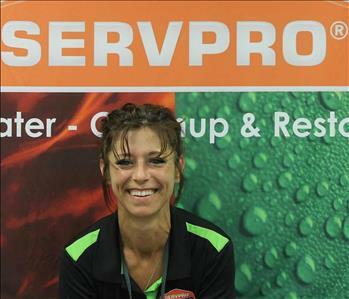 She is excited about working with SERVPRO and will sson be your main contact while working on a fire. 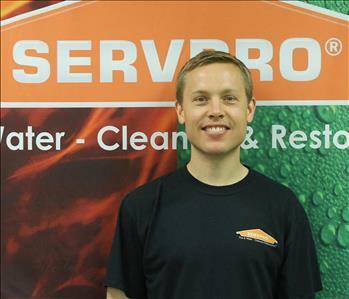 Josh is the youngest member of our crew and has been with SERVPRO since June of 2017. He is proficient with Contents Track and Pack Out services. Josh enjoys listening to all genres of music with his dog, Anabelle. He is always up for a new challenge.